1. Makes learning mobile. Students can learn outside of the school walls and beyond the bell schedule. 2. It empowers students to learn on their own, follow their passions, create, innovate and build knowledge. It helps them develop team working skills, necessary in today’s world where the problems are best solved by many minds working together. 4. Enhances student-teacher relationship. Teaching is an art and students still need the guidance of their teachers. Technology actually enhances the art of teaching and the relationship between student and teacher by letting the student go over the material at home then bring his/her questions to the classroom and discuss, experiment, grapple, question, debate, dialog, test, revise and demonstrate learning in a social environment, rather than wasting precious class time with learning basic content. 5. 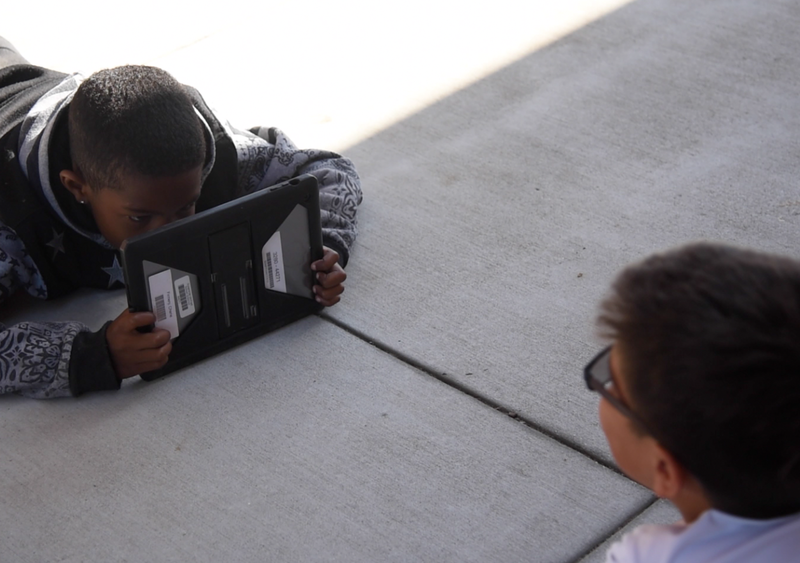 Technology personalizes learning. Students who are struggling or advanced are generally ignored in the classroom. With technology, those students can receive content at their levels to prevent frustration but keep them challenged. 6. Saves the environment. Students no longer need to use paper. They can turn in all assignments digitally, read etexts and digital books, take notes on the computer. 7. Provides Universal Accessibility. Features like audio books for the sight impaired, text to speech, speech to text, voice recognition software, and more make technology an invaluable tool for many. 8. Online courses. Makes a variety of courses available to those who previously lacked access. This include IB classes, AP, credit recovery, GED classes, classes for students who are homebound due to illnesses, classes for students who work, are parents, or have other personal reasons that make the traditional classes or school an inadequate option for them. 9. Helps students gain a global perspective. With technology, students can collaborate and communicate with experts and peers around the world, helping them escape the narrow perspective of one cultural lens, opening their minds to more creative thinking. 10. Digital library. For students who live in remote areas and cannot easily find books, digital devices can become an instant library. They can check out digital books from their library or download books in an instant from online booksellers. This can happen anywhere in the world. 11. Virtual field trips mean students are no longer geography bound. Takes them places they may never visit in person. Through virtual field trips, Google Earth 3D, the Art Project by Google and more, students can see and interact with art, architecture, and natural wonders that they could previously only read about. Their world is expanded and knowledge gained from experiences that are more like “real life” than descriptions in a text. 12. Democratizes information for the first time in history. For those who lack access to any education, technology is a magical key that can open up a door previously locked tight. For the first time in the world’s history, students everywhere can have access to the same information, regardless of where they are born. If technology innovations can be leveraged appropriately, more students than ever before will have access to an education.